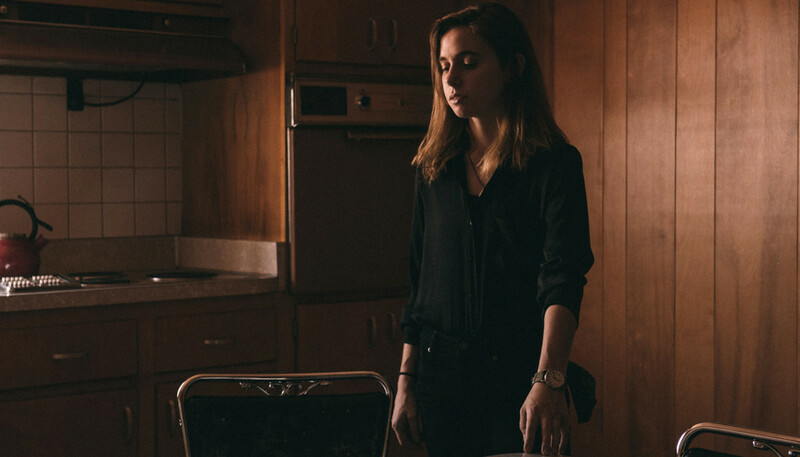 Julien Baker’s 2015 debut might have started out as a fun school project, but her intimate mix of indie-folk and dream-pop soon became a word-of-mouth success, catapulting her firmly into the spotlight. We sat down with 22-year-old, Memphis-based singer-songwriter to hear how she coped with the sudden scrutiny, and to discuss her spellbinding second album Turn Out The Lights. We finally saw you perform live this year, at Primavera Porto. Do you remember that show? Oh my gosh yes! With the giant rainbow flag and the Antifa symbol behind me? That was amazing. I was really excited that so many people were there. I shared a set time with Bon Iver, which was heartbreaking because I love Bon Iver, obviously, who doesn’t? But I was like, “Oh man, if I were me I would not see Julien Baker, I’d go see Bon Iver.” And then there were actually people there and I was pretty stoked about it. What was the story behind the stage set? So they asked us about an hour before my set time, “What do you want for the LED screen?” And we were like, “The LED screen? What are you talking about.” And I said jokingly, “What if we put the Antifa logo and a giant rainbow flag?” It was kinda this stand off, like, are we serious? And then I walked back out from the dressing room and there was a two-storey rainbow flag with the anti-fascist symbol and I thought, “This is the only thing I would use my artist power for.” (Laughs) The pictures look a little crazy because it’s just me, so it kinda looks like I’m giving a propaganda speech about the queer, super-left. But it was pretty awesome. I stopped seeing myself as the central figure in a drama about me and my life, and wanted to try to make myself a character in a human drama. Your debut album, Sprained Ankle, blew up seemingly out of nowhere. What were your expectations for the album, versus the subsequent reality? Oh, so it could not be more night and day. I made it as a fun project with a friend from the music programme in school, and I put it on my Facebook with a link to Bandcamp, and I said, “This is $3, thanks pals.” And then Sean – who works at 6131 Records – got in touch with me and we re-released it, and I thought, “Ok, we’ll re-release it and then I’ll go back to doing my band, Forrester.” And he was like, “Well, we’re gonna hire a publicist.” And then the publicist called me and was like, “Oh, the song’s gonna be on NPR,” and I was like, “What are you talking about?! NPR? !” I remember the moment she told me that on the phone, and I was running up and down the aisles of the grocery store I was at doing errands, freaking out. So it was all so wild. I had no expectations for [Sprained Ankle]. I’m still surprised, and I hope I always stay surprised. I never want to be entitled and I never want to be jaded; those are the two things I want to avoid most. And so with this new record, I’m amazed that people aren’t just like, “Sprained Ankle, we get it: that was good, we’ve moved on.” People still care, people come out to shows, and it’s a blessing and feels fresh and new to me every time. When do the songs from Turn Out The Lights date back from? So the songs were accrued and developed over a period of the last year and a half, because I’ve been touring pretty consistently. I would just make voice memos on my phone and listen to them in the car and piece together the demos, and then we recorded it all in just a week. For the first time, you had an expectant audience awaiting the new material. How did that awareness affect Turn Out The Lights? I think it definitely informed how I wrote. And that seems and off-limits thing to say sometimes for artists, because we want to believe that preserving artistic authenticity means denying the influence of the public on your work, because otherwise then it’s something artificial that’s created to garner success or to achieve something. But I think the difference is that I created this record knowing that there was a listenership in mind, but it less motivated me to change or censor myself, and motivated me to preserve the honesty of the first record. Because if that is what people connected with then I was so glad I shared those things that were maybe painful or questionable for me on the last record. So it convinced me that, whenever I had a line or a lyric that I was uncertain about, that it was the very thing that I had to keep in there. As you said, on Sprained Ankle you shared some different experiences. Do you find that, in turn, fans share their stories with you? Yeah. I like when people will give me anecdotes or sometimes people will write little letters. It’s always really neat to have a person tell me what the song means to them because they’re not wrong; there’s no world in which I can say, “The song’s not about that, it’s about this.” Jehnny Beth from Savages once was talking about this, like, once you put the song out there into the universe, the listener takes that and it means what it means to them because that’s their tool for coping. And that’s what I hope the music can be. Like, I hope my music is not this final product, where I make the art and then you consume it for what it is. I hope it’s more like a tool for other people to learn about themselves and heal. Could you tell us about your lyrical approach for this new album? I think I wanted to write about others in order to re-focus attention from the very idiocentric, self-contained nature of the first record, which was all about me and my thoughts and my feelings, and other people were characters in that, influencing how I felt. Touring this last record for two years, seeing audiences in all these cities across the globe and thinking, “Each of you contains this world of experience I’ll never know,” I stopped seeing myself as the central figure in a drama about me and my life, and wanted to try to make myself a character in a human drama that involves the exercise of empathy between two people, drawing in my friends as main characters and highlighting other people’s. I want the record to be more accessible in that maybe I can act as a conduit for other people’s stories and other people’s voices, and then view my own issues... Because there are still songs that are really about me. Like, ‘Happy To Be Here’, that’s about my thoughts, but it’s within context of knowing I’m not the only person in the world. So I hope that even those songs that are about me can contribute to being in somebody else’s arsenal of coping, you know? ‘Hurt Less’ finds you moving from being self-destructive to hopeful. Can you tell us more about the song? Usually I think that when people comment about the honesty or the brutal nature of the songs it’s often because in real life things are sad and maybe there’s not a happy ending. ‘Hurt Less’ is actually a song where there is a moment of explicit hopefulness. And sometimes I think we fall into this trap of thinking that hope or joy or a positive message is always trite because it’s not realistic. But hopefully this is an instance where it is realistic. For a long time I was riding around in the car with my friends when I was a self-destructive, crazy teenager, and would not wear a seat belt because being reckless is what you do. But being irresponsible with yourself and your body and not caring about the repercussions five years down the line shows a lack of hopefulness for what that five years entails. So I have these memories of being with friends and just wanting to be in the car, and be comforted by each other’s presence and deriving some hope from relating to a song on the radio in the car. And I found myself being more inclined to wear a safety belt because hearing about that person’s experience reminds me I’m not the only thing in my world. And it’s worth it to protect myself and take myself seriously because I have implications on their life. Can you tell us about ‘Sour Breath’? It’s about a dysfunctional relationship, right? So it is about a dysfunctional relationship but not faulting the other person. I think another thing that I discovered about Sprained Ankle is there were songs that were sort-of about dysfunctional relationships or dynamics within a romantic endeavour, but as is typical with break-ups they seem to be self-pitying and faulting the other person. And I started thinking there’s no right and wrong party in the endeavour of love. So in ‘Sour Breath’, the last part that says, “The harder I swim, the faster I sink,” is just me saying here is a thing that I’m dealing with – my anxiety or my mental health – and it seems like the harder I try to get better, the worse that I appear to do. Knowing that that impacts the other person and loving them, wanting to be able to give something to them but not being able to give when you have nothing left inside of yourself. And so to me that song is a straight-forward appraisal of what it feels like to recognise you’re struggling with mental health in a relationship and how maybe you’re the party at fault – maybe you’re not healthy for them – and how painful it can be to sever that relationship. Arrangements are less stripped-back than on your debut. What was the goal sonically for the record? The songs that I like most are songs that maybe have a lot of moving parts but if you stripped them back to just melody and the poetry of the lyrics they would still stand as great songs. So that’s something that I tried to preserve, writing great songs that would be fine and beautiful solely as they are, but then not being afraid to embellish them or to experiment and grow. I think that just having a comfortable environment and recording with an engineer who I’d known since I was 13, really empowered me to say, “Let’s try organ on this song.” I had a dear, dear friend Camille play violin, and it felt like natural jamming, letting the arrangements build. I had more tools at my disposal this time and I wanted to really see what we could put in there to serve the song. Despite more involved arrangements, you’ve preserved the intimacy of your sound. 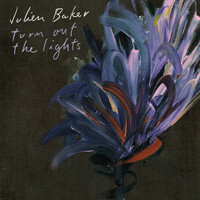 What have you learned in the making of Turn Out The Lights? Kind of going back to what I was talking about the concept of trying to achieve a removal of sorts, but the same is true with the creative process. Maybe it’s because this is how I grew up: being in the DIY scene shows are always about everyone in attendance –the performer and the audience together – so it’s never a spectacle centred around attention for one person, or glory or recognition. But I think that this record has been a lot about finding interesting ways to collaborate, finding ways to get out of the way so that other people’s voices can be heard, their talents can be highlighted. It feels hard at the beginning to let people in and let them take your idea and do something else with it, but it’s relieving to let your ego go, and to make much of others rather than make much of yourself.